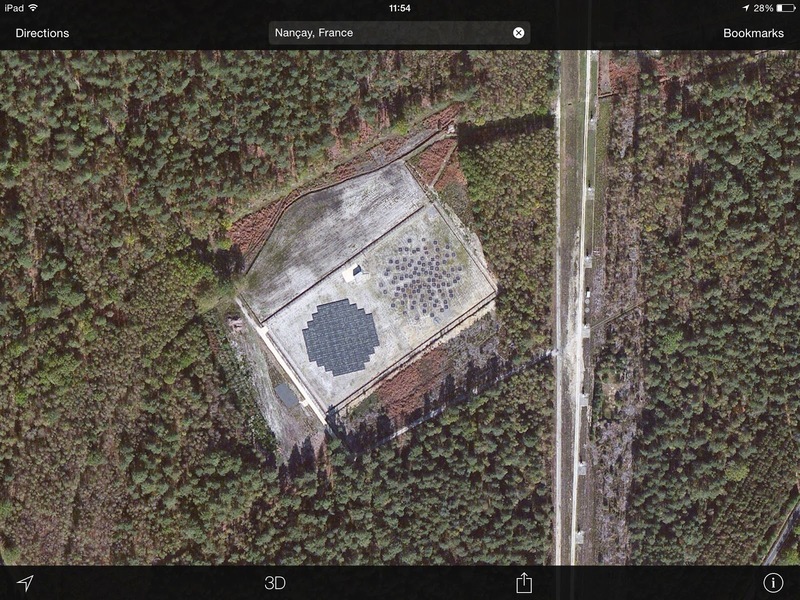 Another of the LOFAR sites has become visible in aerial imagery. The French site at Nançay can now be seen in Apple's Maps.app, which is supplied with iPhones and iPads. If you want to find it yourself, here are the co-ordinates: 47°22.54'N, 2°11.56'E, or go to Nançay and look for the large T-shaped antenna array north of the town. Under the left "arm" of the T, you'll find the LOFAR site.